……"The light has gone out and there is darkness everywhere". In his speech he then turned those gentle words around on themselves, by continuing "Yet I was wrong, ….the light that has illuminated this country these many, many years, will illuminate this country for many more years, and a thousand years later this light will still be seen in this country"
And Nehru did it for a reason, for anything more emotive, would have had inflammatory and disastrous consequences in a Nation deeply divided and troubled at that time where violence was never far from the surface. In the fifth century, the Sanskrit philosopher Bhartrahari took Kautila’s theories a step further by finding a principle of communication he called ‘dhvani’ where he suggests that in matters of grief and personal sorrow, it is perhaps better to use words of poetry and light to describe emotions that are too profound and intense to be uttered in the simple day to day vernacular of the moment. 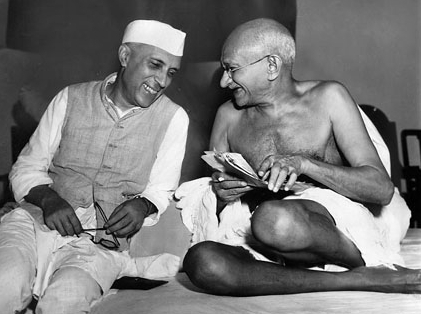 The English Language was only formally introduced to India in the 17th Century, yet in his simple speech to the Indian Nation, Nehru bought together the concepts of Indian scholars and philosophers of the past, married them with the English language of the time. He skillfully bought the most tragic of news to the Indian people in words of sheer poetry, while in the same breath, giving them hope for the future, avoiding a backlash of violence and disorder that so easily could have resulted. The English Language in India had finally emerged from its position of ‘Intrusive neighbor’ in Indian Culture, to mainstream recognition as a universal shared means of expression in a continent of multi languages, accents and dialects. Which now brings me to Martin Luther King. 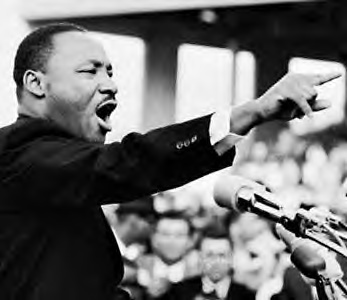 In his benchmark speech ‘I have a dream’ he bought into mainstream English speaking consciousness the ‘call and response’ rhythm of Pentecostal Church Services, and with simple poetic and rhythmic words and pauses, he changed the course of the Civil Rights movement in America forever. The call to arms, civil unrest and violence used by activists before him were rejected, and in simple but magically powerful prose, he touched the heart of a nation, by evoking the imagery of a dream – a dream that could give hope and reconciliation to millions. Both Nehru and Martin Luther King gifted the English language with the power, through the simple choice of inspired words, skillfully crafted, and devoid of challenging rhetoric, to change the course of destiny and change lives. And indeed, to help position the English Language in a pivotal position in History. What is fascinating is that a language that was first expressed in writing in England 400 years before the birth of Christ, with a simple inscription on the ankle bone of a roe deer found at a cemetery in Caistor-by-Norwich, in Norfolk, developed through the Anglo Saxon futhorc (First alphabet), honed in Medieval Manuscripts and Books, romanticized in the middle English period, and playfully teased by Shakespeare, should be merged with ancient Indian Philosophy to such great effect by Nehru, and given the currency of gentle activism by Martin Luther King, in both cases, touching and healing their respective countries. In both cases, the choice of words chosen could have had two outcomes. In both cases the choice of words used were crafted to produce the desired outcomes of hope in grief, and unification founded on a dream. I think I have, in the thoughts I have put together here, found the answer to that student’s question. Hi, I am an Honours Graduate in English Law (LLB (Hons)) who has also studied English Language and Literature as an additional undergraduate course. I have a passion for the flow, prose and integration of the English Language, and its unique developments in the Commonwealth in particular, and the developing world. I am a Member of the Royal Commonwealth Society Club, London, with an ongoing interest in Commonwealth affairs. Also Alumni of Cape Town University Graduate School of Business. I am a member of Humanity Healing International and was recently appointed a Manager there. I have travelled widely and have lived in India, Malaya, Africa and the West Indies and have worked in Central and Southern Africa, as well as the United Kingdom, where I now live. I have been involved for several years with a UK Charity in Kathmandu, Nepal, that nurtures exiled Tibetans by sheltering and Educating them, particularly in Art work.